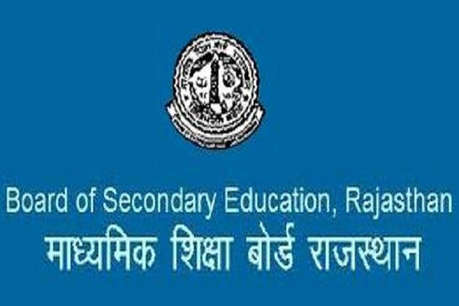 Rajasthan RBSE Board Exams 2019: The Rajasthan Board of Secondary Education (RBSE) has announced the examination dates for the Class 10 and Class 12 board exam 2019. As per reports, the RBSE 10th board exam 2019 will begin from March 15 and the Class 12 exam from March 8. This year, RBSE Class 10 exam was conducted from March 15 to March 26. The first paper was of English and the exams were concluded with science paper. Around 11 lakh students had appeared for the RBSE Class 10 exams this year. Further, the class 10 results were announced on June 11 and the overall pass percentage stood at 79.86 this year. The boys registered 79.79 pass percentage while secured 79.95 per cent. RBSE declared the 12th Science, Commerce result on May 23 and the Arts result on June 1. The pass percentage of Arts stream students was 88.92 per cent, for Science stream students it was 86.60 per cent and for Commerce stream students was 91.09 per cent. The Board of Secondary Education Rajasthan has been in existence since the year 1957, and is the sole regulatory and examination conducting body in the state of Rajasthan. Every year, 15 lakh plus candidates registers for the Rajasthan Board examinations, which are considered for admission to undergraduate courses in the colleges.